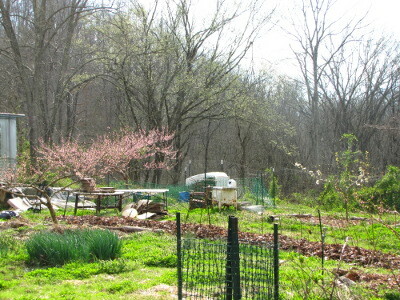 All of the websites say you have nothing to lose by topworking your fruit trees, but that's not quite true. You do lose something very important --- time. 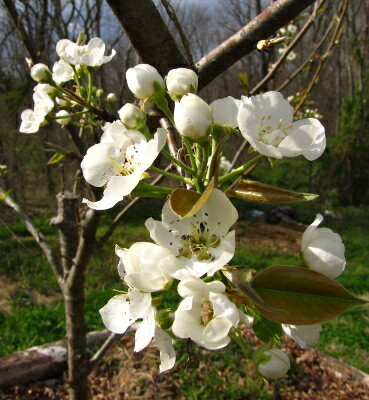 Our young pear trees bloomed enough to produce a couple of fruits last year, and judging by the limbs I left behind this spring, the trees would have been loaded this fall if I hadn't lopped off the tops. But I figure, better delicious pears in two years than pears I consider insipid now. 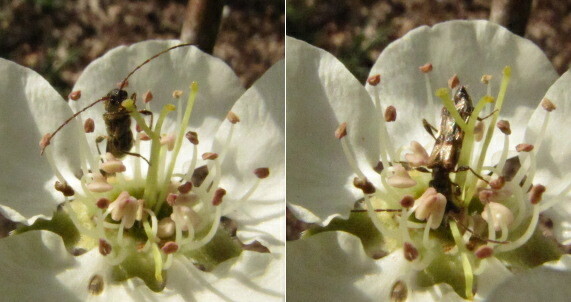 Of course, I got sucked into photographing pollinators while I was out looking at the fruit trees, and I was interested to see that the peaches and pears have very different insects buzzing around their flowers. 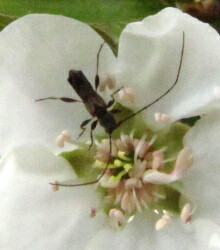 The pear trees had attacted a few small bees and a wasp, but the most common pollinator was the soldier beetles (or maybe long-horned beetles or both?) shown below and to the left. 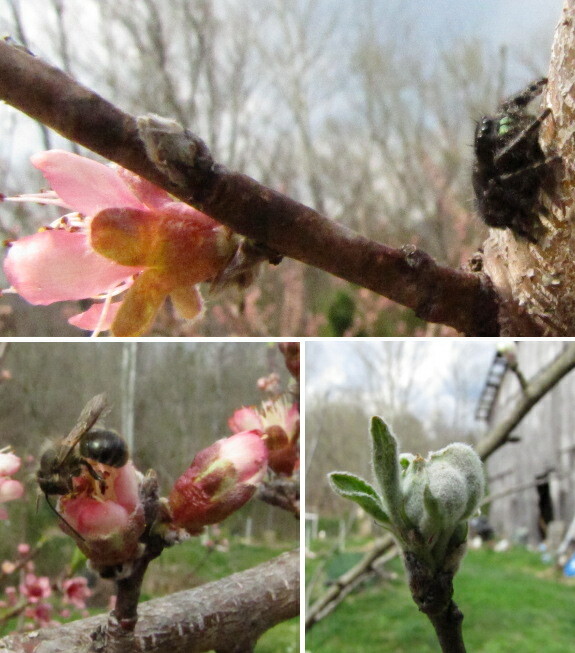 Three more gratuitous spring photos, counterclockwise from top --- a hungry spider, the most common bee out yesterday, and coming attractions (apple buds). Our chicken waterer keeps the coop bedding dry and your chickens hydrated with clean water.